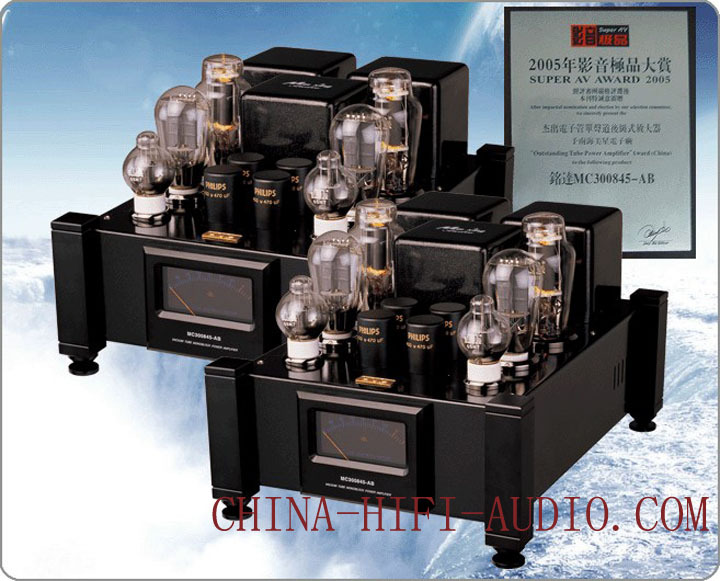 a)Meixing Factory achieves perfect quality and has upgraded the transformer and the key electronic component.Above all,it adopts the crosslinked capacitor called JENSEN,a famous international brand.And by using 845BSE and 6SN7,the stability and the SNR as well as the tone quality had been improved. b)The design is elegant,natural and concise.The four vertical machine seats are made by aluminum alloy and there are adjustable conic feet as well as shockproof gasket.The power table frame is also made by luminum alloy.And all the materials are of good quality. c)The design of circuit and output transformer completely show the unique quality of the factory.By the way,the key electronic components come from those international brand. d)The extraordinary quality of the voice feels inspiring.It sounds imposing,clear,bright and smooth,which leaves us a great impression.At the same time, the price is suitable and it worth having one.